The following is the last of three assignments I submitted for my course entitled “Thought of Vatican II” at the University of St. Michael’s College, Toronto, ON Canada (MDiv Year II, Semester I, dated 7 December 2010). One of the options for this “integrative” assignment for those who foresee entering ordained ministry was to write a “homily,” taking into account one of the Decrees or Declarations (not one of the constitutions: Sacrosanctum Concilium, Dei Verbum, Lumen Gentium, or Gaudium et Spes) of the Second Vatican Council as well as liturgical readings for the day on which the homily would be preached (It was not actually required to deliver the homily orally; only to write it). As I had presented earlier in this course on the Decree on Priestly Formation, Optatam Totius, my homily assignment focused on the same document. The original preface I wrote to explain the imagined liturgical setting and readings appears before the homily itself, and an appendix with the readings appears after it. The liturgical setting of the following homily is a Mass of ordination to the presbyterate. In this homily assignment, I will correlate the core teachings of the Second Vatican Council’s Decree on Priestly Formation, Optatam Totius, with the Scriptural readings I have selected for this Mass. The first reading, Isaiah 61:3a, focuses on the universal divine commission to serve persons most in need. The Gospel acclamation, Luke’s quotation from Isaiah 61:1, carries forward this notion of service into the Gospel reading, Luke 22:14-20, 24-30, which joins the imperative of humble service given by Jesus to his apostles and to their successors with the institution of the Eucharist. Likewise, Psalm 116:12-13, 17-18 and its responsorial verse, 1 Corinthians 10:16, relate the themes of service in God’s name an Eucharist as both communion– among human beings and between humankind and God– and thanksgiving for God’s goodness. The second reading, 1 Peter 5:1-4, applies the Christian obligation of humility specifically to presbyteral ministry; a presbyter is not to work for his own gain, but for the good of all among whom the presbyter ministers. The foundation of all priestly formation, then, is Christ, in whose priesthood the ordained participate. The priest is called, says Optatam Totius, to be vitalized, that is, enlivened, by the Spirit of Christ. In Christ’s Spirit– as our first reading from Isaiah puts it, “the Spirit of the LORD God”– the priest is anointed for service to God and to the Church, the people of God. During this very liturgy of priestly ordination, the priests, once vested with stole and chasuble, will be anointed with chrism on the palms of their hands. The Holy Spirit of Christ, begotten of the Father, is at this point called to rest upon the candidate for Orders, through the prayer from the Rite of Ordination that coincides with the anointing of hands: “The Father anointed our Lord Jesus Christ through the power of the Holy Spirit. May Jesus preserve you to sanctify the Christian people and to offer sacrifice to God.” Together, the anointing with chrism of the hands of the newly ordained and this prayer recall the constant presence of the Holy Spirit among us. Not only in Holy Orders, but in our Baptism into the priesthood of the faithful, in Confirmation, and in the Anointing of the Sick recipients of these Sacraments are anointed with chrism. Thus, from our reception into the Church until our reception into the company of the saints in heaven, the Spirit of the Lord is upon us as God’s Spirit is on the prophets and upon Christ. In the Holy Spirit, “the Lord, the giver of life” (cf. the Nicene Creed), we are perpetually vitalized. My emphasis on the pastoral aspect of the presbyterate and of priestly formation, and on all pastoral works as works of charity, comes from my experience as an associate of the religious community of priests to which I belong, the Basilian Fathers. I was sent early in my priestly formation to Cali, Colombia, to teach high school French and English and to learn Spanish. As I gradually learned not only a new language but a new culture, I noted that, in addition to abject poverty, most people of the Basilian school and parish had received little catechetical instruction. The mission of the Basilians in Cali, then, was at once to alleviate the material poverty of those whom we served, as well as to provide an education– often entirely subsidized– to these people in both religious and secular disciplines. From that, there developed a deep bond of love between the Basilians and the residents of our parish neighbourhood. This was impressed upon me one day when, as a community manual labour exercise, I was washing clay roofing shingles in our schoolyard. A poor man on the street approached the schoolyard gate and greeted me with a smile, “Hola, Padre”– “Hello, Father!” Not yet ordained at that time, I had difficulty then– and I still do– with being called “Father,” for the pastoral responsibility that this title denotes, yet if I were to be called Father, all my works, I prayed, would be acts of charity. My priesthood, modeled after that of Christ, would be pastoral by definition. Priesthood is an anointing to pastoral acts of charity, whether one is a parish priest, a high-school, university, or seminary instructor, a scholar; whether one is praying, in recreation, or is washing shingles in a schoolyard. Priesthood is pastoral charity, oriented toward the good of human community and finally toward God. My appointment to Colombia increased my awareness that priesthood, as a ministry of ecclesial leadership in charity, takes into account both the universal Church and the local church. At the same time, the universality– the catholicity– of the Church became more evident to me as did the particular needs of local churches, regions, and nations. I was sent from Edmonton to Cali, after only six months as a Basilian associate, the earliest stage of formation in our religious community. The differences between the two churches are remarkable; the relative affluence of Edmonton over Cali, the religious devotion inherent in Colombian culture, and the linguistic dissimilarity between the two places are but a few of these distinctions. Nonetheless, the same Mass is celebrated in both Edmonton and Cali; Edmontonian and Caleño Catholics belong to the same Church in communion with the See of Rome. Regarding priestly formation in particular, Optatam Totius holds in tension the recognition of the necessities of local churches and of those of the universal Church. The decree begins with an accent on the former: “Since the variety of peoples is so great,” says article one of Optatam Totius, “only general rules,” such as the establishment of “Program[s] of Priestly Formation” by regional bishops’ conferences, “can be legislated.” In Optatam Totius’ next article, though, which begins its chapter on “the intensified encouragement of priestly vocations,” the document is clear that “the task of fostering vocations devolves on the whole Christian community.” The encouragement of vocations to ordained priesthood evidently begins at the local level– in homes, in schools, and in parishes– yet it extends universally. To those who will be ordained shortly: The best way to encourage vocations, not only to the priesthood but to the specific vocation to which God calls each Christian, is to live your own divine calling to Holy Orders joyfully. In today’s second reading, the author of 1 Peter acknowledges that his vocation as an elder– literally, a presbyter– is not easy. He is “a witness of the sufferings of Christ, as well as one who shares in the glory to be revealed.” Articles nine and ten of Optatam Totius echo this eschatological balance of 1 Peter of the “obligations” and even “hardship of the priestly life” with joy “in the blessedness promised by the Gospel” and by a “profound identification of” the priest’s entire life with that of Jesus Christ. Priesthood, configured to Christ, is more than the power to confect the Eucharist, although this sacerdotal privilege is not unimportant. As per article eight of Optatam Totius, the priest must “be taught to look for Christ in many places: in faithful meditation on God’s word, in active communion with the holy mysteries of the Church… in the bishop” whom they assist, “the poor, the young, the sick, the sinful, and the unbelieving.” The Eucharist is only the beginning of Christian service; the priest who confects it for and receives it with the people of God must not, as today’s Gospel and second reading both affirm, “lord it over” those whom we serve as leaders. The Eucharistic feast must be united with and must give way to service. Moreover, as we heard in today’s Responsorial Psalm, the Eucharist, over which the priest presides, is at once an act of thanksgiving and one that draws human beings into ever-closer communion with one another and with God. Let us pray, then, for the priestly candidates present before us here, and for all priests and those in formation for Holy Orders, that they might be joyful instruments of and participants in the priesthood of Christ. In this Eucharistic celebration we thank God for the gift of priests, “the hope of the Church,” as concludes Optatam Totius, and for those entrusted with their formation. Readings are from the New Revised Standard Version of the Bible, selected according to The Rites of the Catholic Church, trans. The International Commission on English in the Liturgy (New York: Pueblo Publishing Co., 1980), 2:102-106. R: Our blessing-cup is a communion with the blood of Christ. in the presence of all his people. R.
1Now as an elder myself and a witness of the sufferings of Christ, as well as one who shares in the glory to be revealed, I exhort the elders among you 2to tend the flock of God that is in your charge, exercising the oversight, not under compulsion but willingly, as God would have you do it— not for sordid gain but eagerly. 3Do not lord it over those in your charge, but be examples to the flock. 4And when the chief shepherd appears, you will win the crown of glory that never fades away. The Lord sent me to bring good news to the poor and freedom to prisoners. When the hour came, he took his place at the table, and the apostles with him. 15He said to them, ‘I have eagerly desired to eat this Passover with you before I suffer; 16for I tell you, I will not eat it* until it is fulfilled in the kingdom of God.’ 17Then he took a cup, and after giving thanks he said, ‘Take this and divide it among yourselves; 18for I tell you that from now on I will not drink of the fruit of the vine until the kingdom of God comes.’ 19Then he took a loaf of bread, and when he had given thanks, he broke it and gave it to them, saying, ‘This is my body, which is given for you. Do this in remembrance of me.’ 20And he did the same with the cup after supper, saying, ‘This cup that is poured out for you is the new covenant in my blood. 24A dispute also arose among them as to which one of them was to be regarded as the greatest. 25But he said to them, ‘The kings of the Gentiles lord it over them; and those in authority over them are called benefactors. 26But not so with you; rather the greatest among you must become like the youngest, and the leader like one who serves. 27For who is greater, the one who is at the table or the one who serves? Is it not the one at the table? But I am among you as one who serves. 28‘You are those who have stood by me in my trials; 29and I confer on you, just as my Father has conferred on me, a kingdom, 30so that you may eat and drink at my table in my kingdom, and you will sit on thrones judging the twelve tribes of Israel. Complete overkill. One chunk of brimstone out of five! Originally submitted for History of Christianity II, University of St. Michael’s College, Toronto, ON, Canada, MDiv Year I, Semester 2, 12 April, 2010. For this course, students were given the option of writing a traditional reflection paper or a creative composition, such as a one-act play, that illustrated an understanding of the history of Christianity of the Reformation. The paper was to be based on one of the final five chapters of Diarmaid MacCulloch’s book- a textbook for the course- Reformation: Europe’s House Divided. The dismissal of superstitious ceremony around death [by Reformed Christians] was fine in theory, but cross-currents both from above and below opposed these minimal rites of passage. Luther himself… decided when drawing up the instructions for the 1528 Saxon visitation that the Church ought to help people mock their fears of death through a satisfying liturgical drama… Equally, in the Reformed world, many both lay and clerical felt a desperate wish for suitable remembrance of the dead in this world even if nothing could be done for them in the next. – Diarmaid MacCulloch, Reformation: Europe’s House Divided, 1490-1700 (London/New York: Penguin Books, 2004), 577. Marshall: This court is now in session. Justice Faust: This court calls upon the prosecution to make its closing arguments. Yorick and Horatio, Death’s defence lawyers and devout disciples of John Calvin [loudly and simultaneously]: Objection, your honour! The defendant is being mocked. Faust: Objection sustained! Death is not to be mocked. Alas, for I was once a lonely and morose philosopher. I fell in love with dear Marguerite, “an angel in human form.” So drawn was I to her that I related my dreamy vision of Marguerite’s beauty to Mephistopheles. I didn’t know I was speaking with the devil himself. He tricked me, that hellion! At death I was separated from my true love; Marguerite went to the splendour of heaven, and I went to the fires of hell. Faust [still sniffling back tears but his voice gaining strength]: But I escaped the grasp of the prince of darkness, came back to earth, studied criminal law, and became a judge. Ha ha ha ha! Melanchthon-Bucer: May we proceed with the trial, your honour? Your deadly accuracy with regurgitated brimstone is commendable, but, with or without a stenographer, the rest of us have a burning desire to bring this case to a conclusion. Melanchthon-Bucer [visibly angry, addresses the jury]: Ladies and gentlemen of the jury, the macabre defendant, Death, is on trial before you for the corruption of humanity. I beg you, for the good of the living and the dead, to find Death guilty of that charge. In death, there is no joy, no song, and no pleasure. When one dies, according to our defendant and to the defence, if that person is not one of God’s elect, he or she is destined for the everlasting furnace. Faust: Order in the court! Samuel: Our beloved brother Daniel has died with Scripture alone in his mind and on his tongue. For that, God will surely receive him into heaven. Satan: I resent that hymn! I shall not be so easily felled! Satan [looking at Yorick, feigning remorse]: Sorry, that was an accident. Death [looking at Horatio and then at the skull in his hand]: Alas! Poor Yorick! I knew him, Horatio. Melanchthon-Bucer: Aha! Death has quite a self-deprecating sense of humour; he even quotes Shakespeare, a product of the Reformation, to mock himself, much to my delight. Horatio [addresses Samuel Luthor]: See to it that good Yorick is buried in an unmarked grave outside the city, as he has willed. Faust [while staggering to his chair]: We have a trial to complete, so let’s allow the defence to present its closing arguments. Horatio [frustrated]: At last! Your honour, in defence of my client I have reason to doubt the veracity of one prior prosecution witness, Mr. Samuel Luthor. He argued that Death has indeed corrupted humanity, but Mr. Luthor has already disrupted this trial with a long-winded sermon. He also stands accused of aiding and abetting his brother in the smuggling of a controlled substance, Kryptonite, into this courthouse, not five minutes ago. You must find the defendant not guilty. [A scream is heard as Samuel Luthor’s brother is arrested by courthouse security]: Samuel! Samuel! Samuel [running out of the courtroom]: Here I am, Lex! Skeleton of a Catholic bishop from the Council of Trent [from a back corner of the courtroom with an index finger pointed at Satan, and in a raspy voice]: Anathema sit! Satan: If only getting rid of me were that easy. Jesus, how about a poker or chess match to decide this? Of course, I’ll win as I did on that Spanish Train from Guadalquivir to Old Seville. Jesus: Never again will I play poker or chess with you! You cheated on the train and won one hundred five thousand souls. I’ll avenge that loss; you just wait. Satan: That was back in 1975. Get over it! Jesus: And what’s with that time machine? It’s ridiculous! Satan: Any good anachronist needs a time machine. The MephistoMover 2050 is the latest model. Jesus [having moved to the judge’s chair]: I hold you in contempt of historical order and of this court, Satan. You are hereby banished to hell for eternity. Jesus: Lucifer, you’re not a very bright angel, nor are you a good singer. Satan: Forgive me, since there’s no singing in hell. My voice wasn’t warmed up, and Freddie Mercury is in purgatory, so I can’t receive operatic rock lessons. Jesus: Very well. Faust, you go back to hell with Satan. As for you, Death, I find you guilty on the charge of corruption of humanity and sentence you to life. Death [confused]: Life? In prison? On the top level of a Stool of Repentance? Jesus: No, just life. A historical change isn’t appropriate here. As God, I transcend history, after all. Your sentence is thus an ontological change from death to life. Jesus [thinking]: That tune is from the Reformation, but the lyrics aren’t. I am both divine and human, both within time and beyond it. A half-anachronism never hurt anyone. Let’s sing it anyway. Daniel…………………………………………. A deranged spectator in the courtroom gallery. Eutychus……………………………………… A Greek spectator who needs to avoid sitting near windows. Horatio……………………………………….. A defence lawyer and Reformed Christian. Jesus……………………………………………. The timeless Son of God, as himself. Jurors…………………………………………. Twelve people with particularly ashen complexions. Justice Hector Faust…………………… Went to hell as a philosopher and returned to earth as a judge. Lex Luthor………………………………….. Samuel’s Kryptonite-toting brother of comic book fame. Martina Philippa Melanchthon-Bucer… The lead prosecutor; a Lutheran. Samuel Luthor…………………………….. A Lutheran minister. Satan…………………………………………… The anachronistic hellion, as himself at anytime but during the Reformation. Skeleton of a Catholic Bishop from the Council of Trent. Stenographer……………………………….. Ought to beware of flying brimstone. Yorick………………………………………….. A defence lawyer who has been burned- in legal arguments- one too many times; a Reformed Christian. 1 Corinthians 15:55-56, New American Bible. Music with Ease, “La Damnation de Faust,” accessed 9 April, 2010. Diarmaid MacCulloch, Reformation: Europe’s House Divided, 1490-1700 (London/New York: Penguin Books, 2004), 243-244. Warner Brothers, “Lex Luthor,” http://www.batman-superman.com/superman/cmp/luthor.html. Accessed 10 April, 2010. Wilhelm Joseph, “Protestantism,” in The Catholic Encyclopedia. http://www.newadvent.org/ cathen/12495a.htm. Accessed 10 April, 2010. Martin Luther, A Mighty Fortress is Our God, music by Martin Luther, translated by Frederick H. Hedge, in Christian Prayer (New York: Catholic Book Publishing Co., 1976), 1692. Shakespeare, “The Tragedy of Hamlet,” accessed 11 April, 2010. MacCulloch, Reformation, 577. Yorick is meant in this play to be a caricature of John Calvin. 1 Samuel 3:1-8, 10, NAB. Chris de Burgh, “Spanish Train,” Spanish Train and Other Stories, A & M 393143-2 (CD), 1975. “Canons and Decrees of the Council of Trent: The Fourth Session, Decree Concerning the Canonical Scriptures.” http://www.bible-researcher.com/trent1.html. Accessed 11 April, 2010. Freddie Mercury, “Bohemian Rhapsody,” performed by Queen in A Night at the Opera, Hollywood Records B000000OAN (CD), 1991. MacCulloch, Reformation, 598-599. According to MacCulloch, the top level of the Stool of Repentance was reserved for those who had committed the most serious sins. Symphonia Sirenum Selectarum, Alleluia! The Strife is O’er, music by G.P. da Palestrina, translated by Francis Pott, in Christian Prayer (New York: Catholic Book Publishing Co., 1976), 1627. The music of this hymn was composed by da Palestrina in 1588; the lyrics quoted in this play were added in 1695. Historian David Hackett Fischer writes that few accounts of the earliest “encounters between American Indians and Europeans… are about harmony and peace.” Nonetheless, as Fischer points out, “scholars of many nations” maintain that the French explorers and later settlers of New France related more peacefully with the Indians of that territory than the first European arrivals of the late fifteenth to mid-seventeenth centuries did with native inhabitants elsewhere in the Americas. Greater accord existed between the French and North American Indians compared to that between Europeans and Indians elsewhere in the New World, with significant exceptions. Thus, the French were not invariably kind and explorers and colonists of other powers cruel toward the Indians and toward other persons of their own ethnicity. However, French-Indian mutuality in North America was stronger than that between Europeans and Indians elsewhere in the New World for three interrelated reasons that I will consider in this paper. The first basis for this reality was economic: Indian-European and inter-European co-operation were more essential to the success of New France- large, sparsely settled, poorly defended, and heavily dependent on the fur trade with the Indians- than to the survival of American settlements of other realms that balanced mercantilism with colonialism more than the French did. The second motive was religious and political conflict in Europe: Reformation-era France was divided between Catholics and Protestant Huguenots. Such religious strife permeated the French monarchy and peasantry alike. In contrast, other colonial nations were more homogeneously Catholic or Protestant. French explorers, Huguenot and Catholic, strove to build inter-confessional peace from their earliest American settlement attempts. The third reason was the greater priority given by the French than by other European countries to religious evangelism in their colonial holdings. Recollets then Jesuits distinguished themselves in missionary work among the indigenous inhabitants of New France. While Portugal and Spain both attended to evangelization in the Americas, it was of secondary significance to the mercantile endeavours of these nations. On the other hand, for the French, commerce and mission with the Indians went hand in hand. Indian missions were an afterthought in New England until the late seventeenth century contributions of Williams then of Eliot. Likewise, the Protestant settlers of New Netherlands were more interested in trade and in shipping than the export of the Christian faith to the New World. Even in the century between Tordesillas and Vervins, though, Spanish and Portuguese “hegemony in the New World” was deliberately ignored by other colonizing nations. In 1497, England’s Henry VII permitted the Venetian John Cabot to search for a maritime trade route to China and India. Cabot found the North American Atlantic coastline instead and explored it from Newfoundland to what later became New England. The English, interested in a Northwest Passage to oriental riches and in Newfoundland’s fishery, left inland exploration of North America to the French. Francis I accepted this opportunity to commission Jacques Cartier to sail to the New World. Cartier made his first voyage in 1534. Subsequent voyages in 1535 and 1541-1542 brought Cartier to the Saguenay River and to Stadacona and Hochelaga- present-day Québec City and Montréal, respectively. Cartier’s party overwintered at Hochelaga during their second expedition, when many became ill with scurvy. One quarter of Cartier’s shipmates died of that disease. The Indians could have allowed the remainder to perish also, but they compassionately taught the French “sojourners… to make a tonic containing ascorbic acid from bark, cedar needles, and water.” That action showed the Indians’ willingness to assist these European visitors for more than mere material gain. Meanwhile, the French view of the Indians, whom Cartier had considered “the sorriest folk… in the world” for their lack of valuable belongings save “their canoes and fishing nets,” began to moderate with further contact. Indian-French relations had begun inauspiciously in North America. In 1535 at Penouille Point, Cartier, with clear intent to claim the land for France, which overshadowed the act’s religious significance, erected a thirty-foot high cross inscribed with the name of King Francis I. At the same location, Cartier captured two sons of the Iroquois chief Donnacona “to take them back to France”; Dom Agaya and Taignoagny were returned to North America the following year. By the end of Cartier’s third voyage… the Europeans had settled on four motives that would drive their contacts until the eighteenth century: fish, furs, exploration, and evangelization. The indigenous people had tolerated the first, eagerly embraced the second, co-operated in the third when doing so did not threaten their interests, and still remained blissfully ignorant of the last motive. Peace in France was abruptly shattered by the 1540s as the religious divisions of the Reformation emerged. Sixty years of intermittent civil war left France nearly bankrupt. Thus, French exploration of North America and contact with its Indian population were halted until the Edict of Nantes of 1598 ended the Wars of Religion in France. That edict was followed by the renewal of French activity west of the Newfoundland fishing grounds. Samuel de Champlain was a key figure of this resumed French presence in North America. Champlain’s genuine yearning for peace helped to form New France into the haven of Indian-European and inter-European concord relative to other colonial territories of the Americas that it would remain during its century-and-a-half long existence. A native of Brouage on the Bay of Biscay coast, Champlain honed his appreciation of the human dignity of those of differing beliefs as a youth in one of the most violent theatres of the French Wars of Religion. David Fischer speculates that Champlain, born in about 1570, “was… baptized a Protestant,” and notes that he grew up in a milieu of “famine, plague, and suffering… intense religious hatred and incessant war.” Brouage “changed hands [five] times” between Catholics and Protestants during Champlain’s infancy. La Rochelle, the nearest city to Brouage, was then the greatest Huguenot stronghold, which made the entire Gulf of Saintonge shore on which both communities stood a strategic battleground for Protestant and for Catholic forces. In 1568, Brouage belonged to the Protestants. Catholics seized the village with Italian help the following year, and then relinquished it in 1570. Acquired anew by Catholics via a “peace treaty,” Brouage was used shortly thereafter as “a base for operations against… La Rochelle.” By 1571, Protestants had regained Brouage and then lost it once more. The arranged marriage the next year between the “Catholic Princess Marguerite de Valois and the… Protestant Prince Henri de Béarn and Navarre” escalated what had been localized confessional skirmishes as on the Gulf of Saintonge into kingdom-wide carnage. Neither the Catholic Church nor the House of Guise- exceedingly anti-Protestant even for the time- approved of the union. Huguenots were warned by English emissaries of the danger to their lives should they have stayed in Paris for the wedding celebrations. They remained indeed, and the English prediction of bloodshed came true when Huguenot Admiral Gaspard de Coligny was shot on 22 August, 1572. King Charles IX, fearful of being assassinated in a Protestant reprisal for the wounding of de Coligny, was persuaded by Catholic militants to renege on his short-lived offer of protection to panicked Huguenots. The following night, a “Catholic militia” arrested the newlywed prince and the duc de Condé, both Protestants, and “murdered” Admiral de Coligny “in his bed.” The Catholic mob killing spree subsequently spread beyond Paris “to the provinces of France.” Estimates of the number of dead in the St. Bartholomew’s Day Massacre vary widely: two thousand to one hundred thousand Protestants were slain in France between August 24 and October 2, 1572. Threatened with death should he have remained a Protestant, Prince Henri de Béarn and Navarre became Catholic on September 26, 1572. Over the next twenty-three years, Henri oscillated between denominational stances three times, drawing the suspicion of French Catholics and Protestants alike. His final turn toward Catholicism was sealed on July 25, 1593. According to Fischer, Henri’s repeated confessional changes had not been the result of indecision but a shrewd plan to build stability in his realm. Moreover, the prince thought the continuous fighting “by both sides in the name of Christ” to be “un-Christian.” Henri had therefore exhorted Catholics and Protestants to reconcile with one another: “We believe in one God, we recognize Jesus Christ, and we draw on the same gospel.” Although the Bourbon Henri came to abhor war whether from a Catholic or Protestant perspective, as a Protestant in 1587 he defeated two Catholics, Henri of Guise and Henri of Valois, “in open battle” during the last of nine French Wars of Religion, known as “the War of the Three Henris.” Two years later, the Catholic Prince Henri was enthroned as King Henri IV, and peace ruled France for the next four decades. Shortly after Henri IV’s reign began, the new king’s ally Samuel de Champlain followed his sovereign into the Catholic Church. Champlain quickly earned the trust of Henri IV. A highly-skilled navigator, Champlain was appointed by the king as a geographer in the Louvre in 1602. There, he studied why six previous French attempts to settle North America had failed, and how a permanent New World colony might yet be established. Champlain’s seafaring abilities had been tried between 1599 and 1601 on a royal expedition to New Spain sanctioned by Spanish General Pedro de Zubiaur, with a mixed Spanish-French crew. Spain had enlisted French help to spy on English interlopers in New Spain’s waterways; England had attacked Spanish Puerto Rico in 1598. The espionage fleet was overseen by a Spaniard, Don Francisco Coloma, while its lead ship, San Julian, which had just been sold by France to Spain, was captained by Champlain’s uncle, Guillaume Allène Provençal. In New Spain, Champlain saw the same “free dives” for pearls that had raised the ire of Bartolomé de las Casas almost a century earlier, although by Champlain’s time African descendants were working in place of the Indian slaves encountered by las Casas. Champlain reacted with similar disgust to that of the Spanish Dominican against the inhumanity of the slave trade in the Spanish Empire. Slavery, whether of Indians or of Africans, was not to be replicated in the New France that Champlain was to build. Alas, the French used slaves with the same impunity as the Spanish in Hispaniola’s sugar cane plantations before and after Spain surrendered the island’s western third to France via the 1697 Treaty of Ryswick. African slaves were also imported to French North America in the late seventeenth century. Success at Tadoussac spurred Champlain to petition Henri IV to finance another expedition that would culminate in a permanent French New World settlement. The king agreed to that proposal enthusiastically, under the condition that the colony be centered on the fur trade. Pierre Dugua, Sieur de Mons, “a Protestant with a Catholic wife,” was made responsible for the realization of Henri IV’s designs. De Mons was influenced by an “American circle at Court”– royal officials who had read about America from details of a century of voyages but had never sailed to the Americas- to lay anchor in Acadia, the North American Atlantic region known to da Verrazzano and thought to have had a similar climate to that of France’s western coast. In May of 1604, the Don de Dieu arrived at Sainte-Croix Island after a rapid ocean crossing during which the lead ship nearly ran aground on Sable Island. The mission that began as a triumph in Catholic-Protestant relations exemplified by Champlain and de Mons and by the harmony between Catholics and Huguenots ended in failure: the Sainte-Croix River iced over during a harsh winter. The colonists’ food, water, and firewood were exhausted. Scurvy followed, which was more deadly at Sainte-Croix than it had been at Hochelaga for the party of Cartier’s second voyage. Thirty-five of seventy-nine settlers died at Sainte-Croix. The site, named “Bone Island” for its shallow graves of French settlers, was abandoned within a year of its inception. Champlain, whose religious faith deepened as he aged, was a peacemaker and a nation-builder. However great his role was in the foundation of New France, though, other reasons for the prevalent co-operation among the French and between its first European settlers and Indians existed, chiefly the size of New France and its meager population. The French and Indians of New France thus relied upon one another for survival. Other European powers held smaller colonies that had larger populations than New France. For example, France claimed an area that extended from the Atlantic coast of Acadia to the Great Lakes and from James Bay to the Gulf of Mexico. Upon the death of Cardinal de Richelieu in 1642, three thousand French settlers lived in New France. In comparison to New France, thirty thousand English had colonized New England by 1642, and the population was rapidly expanding and displacing Indians westward. Thirty thousand Portuguese, mostly clustered around the sugar-producing centres Pernambuco and Bahia, had settled in Brazil by 1585. Portuguese administration in Brazil, in contrast to that of the Spaniards in New Spain, was chronically unorganized. Portugal’s focus in the western hemisphere was more mercantile than colonial. Thus, Brazil remained mired in poverty until after the monarchies of Portugal and Spain were united under Spain’s Philip II in 1580. Portugal focused on trade at the expense of colonial development beyond Africa, India, and islands near Europe such as Madeira and Cape Verde. Spain possessed a land area much larger than New France in the Americas, but New Spain was highly ordered into “chartered” towns: one hundred twenty-one of these towns had been built by 1574, and a further two hundred ten were constructed by 1628. Those settlements, as elsewhere in the Americas, were structured around the exploitation of natural resources: mining, principally in South America, fishing, and, particularly in Mexico and in the Caribbean, plantation crops and livestock. The Netherlands, although a prosperous nation by seventeenth-century European standards, especially since the Dutch declared independence only in 1579, were not as involved in colonization as France, England, Spain, or Portugal. The main Dutch concerns were shipping and, in North America, the fur trade. Consequently, New Netherlands included only 1 300 Dutch settlers as of 1663. Demography, politics, and economics in Europe and in the North American colonies of European countries affected relations between Indians and colonists of the Americas as well as between the settlers themselves. However, religious motives of colonial nations interconnected with those factors in these Euro-Indian and inter-European relationships. The Netherlands, owing to their scant attention to settlement in the Americas, were not a relevant contributor to evangelization of the Indians there. Nor was England, whose American colonial history- about as long as that of France– was short relative to that of Spain or Portugal. Additionally, New England was a confederation of several colonies, each with their own religious confessions, and priorities. Unlike France, which founded its colonies of North America both on the fur trade and on the Indian missions, English evangelism of the Indians was neither as sustained nor as systematic. The Indians of New France long remembered the gallant Jesuit missionaries, eight of whom had been martyred among them. Eighteen years after the final collapse of the Huron missions, Jesuit Father Claude Allouez encountered Petuns, ethnically related to the Hurons, wandering in the brush near Lake Superior. Allouez was informed by the forlorn Petuns that they were still mourning the death of Charles Garnier, one of the Canadian Martyrs. The Jesuits preached and lived peace among the Indian people of New France. They built on a humanist legacy of co-operation between French and Indian, Catholic and Protestant. Harmony came from those who had experienced religious and political strife in Europe and were determined not to export it. That co-operation among diverse peoples of New France existed for economic and demographic reasons- the territory was large, and French and Indians depended upon the fur trade- but also for religious reasons; evangelism in New France was founded on mutual recognition of the human dignity of the Indians and of the French settlers. This historical research paper was originally submitted for my course entitled History of Christianity II (843-1649) at the University of St. Michael’s College, Toronto, ON, Canada, MDiv Year I, Semester 2, on 15 March, 2010. David Hackett Fischer, Champlain’s Dream: The Visionary Adventurer Who Made a New World in Canada (Toronto: Alfred A. Knopf, 2008), 527. Ibid., 608. Fischer states that, shortly before publishing Champlain’s Dream, he had been invited to meet representatives of several Indian nations based “throughout the United States” at the Newberry Library in Chicago. He asked leaders of these nations what they would wish to be called; they expressed a preference to be denoted by their individual nations’ names. The term “Indian” was acceptable- better than other designations, or even a mark of pride for some with whom Fischer spoke- in collective reference to the first inhabitants of the Americas. Those conventions of nomenclature will thus be followed in this essay. Diarmaid MacCulloch, Reformation: Europe’s House Divided, 1490-1700 (London/New York: Penguin Books, 2004), 69. Online Etymology Dictionary, “Anglican.” http://www.etymonline.com/index.php?term=Anglican. Accessed 9 March, 2010. To refer to Williams and Eliot as Anglicans- a noun not used until 1797- is anachronistic. Robert Choquette, “French Catholicism Comes to the Americas,” in Charles H. Lippy, Robert Choquette, and Stafford Poole, Christianity Comes to the Americas (New York: Paragon House, 1992), 142. David Birmingham, Trade and Empire in the Atlantic, 1400-1600, Introductions to History (London/New York: Routledge, 2000), 49. Pablo Alberto Deiros, Historia del Cristianismo en América Latina (Buenos Aires: Fraternidad Teologica Latinoamericana), 301. K.G. Davies, The North Atlantic World in the Seventeenth Century, vol. 4 of Europe and the World in the Age of Expansion, edited by Boyd C. Shafer (Minneapolis: University of Minnesota Press, 1974), 17. J.H. Parry, Europe and a Wider World: 1415-1715, edited by Maurice Powicke (London/New York/Melbourne/Sydney/Cape Town: Hutchinson’s University Library, 1949), 52. J.R. Miller, Skyscrapers Hide the Heavens: A History of Indian-White Relations in Canada, 3rd ed. (Toronto/Buffalo/London: University of Toronto Press, 2000), 27-28. Francis I only grudgingly took advantage of England’s disinterest in inland North America; France, too, was principally searching for a Northwest Passage. Inland exploration was a secondary option to find a route to the Far East. Marcel Trudel, “Cartier, Jacques,” in Dictionary of Canadian Biography Online. http://www. biographi.ca/009004-119.01-e.php?BioId=34229. Accessed 11 March, 2010. Miller, Skyscrapers Hide the Heavens, 30. Trudel, “Cartier, Jacques,” accessed 11 March, 2010. Miller, Skyscrapers Hide the Heavens, 31. History Learning Site, “Fourth French War of Religion.” http://www.historylearningsite.co.uk/ FWR4.htm. Accessed 12 March, 2010. Miller, Skyscrapers Hide the Heavens, 32. Georges Goyau, “Saint Bartholomew’s Day,” in Catholic Encyclopedia. http://www.newadvent.org/ cathen/13333b.htm. Accessed 13 March, 2010. Tim Lambert, “A Brief History of Haiti.” http://www.localhistories.org/haiti.html. Accessed 13 March, 2010. Choquette, “French Catholicism Comes to the Americas,” 187. “The Jesuit Relations and Allied Documents Volume 9,” edited by Reuben Gold Thwaites. http://puffin.creighton.edu/jesuit/relations/relations_09.html. Accessed 13 March, 2010. Choquette, “French Catholicism Comes to the Americas,” 134. Georges Goyau, “Armand du Plessis, Duke of Richelieu,” in Catholic Encyclopedia. http://www.newadvent.org/cathen/13047a.htm. Accessed 13 March, 2010. Parry, Europe and a Wider World, 124. Birmingham, Trade and Empire in the Atlantic, 1400-1600, 79. Birmingham, Trade and Empire in the Atlantic, 1400-1600, 5. “New Spain Conquest.” http://faculty.umf.maine.edu/~walters/web%20230/Unit%203%20New% 20Spain%20Conquest.html. Accessed 13 March, 2010. Birmingham, Trade and Empire in the Atlantic, 1400-1600, 54-58. Henry C. Morris, The History of Colonization: From the Earliest Times to the Present Day (New York/London: MacMillan, 1900) 1:305. Davies, The North Atlantic World in the Seventeenth Century, 18. Parry, Europe and a Wider World, 132. John W. O’Malley, The First Jesuits (Cambridge, MA/London: Harvard University Press, 1993), 188. Karen Melvin, “Priests and Nuns in Colonial Ibero-America,” in Religion and Society in Latin America: Interpretive Essays from Conquest to Present, edited by Lee M. Penyak and Walter J. Petry (Maryknoll, NY: Orbis Books, 2009), 100-114. O’Malley, The First Jesuits, 23. Angus MacDougall, “Gabriel Lalemant, 1610-1649.” http://www.wyandot.org/lalemant.htm. Accessed 13 March, 2010. James McGivern, “Charles Garnier, 1606-1649.” http://www.wyandot.org/garnier.htm. Accessed 13 March, 2010. The fourth century C.E. was a time of rapid transition in the Christian church; its status in the Roman Empire changed from a sect that was periodically persecuted to a tolerated faith and then to a state religion within eight decades. Freed from the threat of persecution and then gaining favour in the Roman Empire under Constantine, Christianity was able to elucidate key points of doctrine, especially those that dealt with the Trinity. While Trinitarian theology was not new by the fourth century, as Laurie Guy points out, “Christianity still had not approached any consensus in defining Jesus’ essential being and… relationship to God,” nor had agreement been reached on the nature of and relationship between the Holy Spirit and the other two persons of the Trinity, the Father and the Son. The Council of Nicaea, convened by Constantine, focused on the first question. In opposition to the followers of Arius, a preacher in Alexandria who held that Jesus was a created being and therefore was subordinate in divinity to the Father, the Council of Nicaea defined the Son as homoousios, that is, “of same the substance” and equal in divinity to the Father. However, that council did not yet discuss the divinity of the Holy Spirit. Therefore, Nicaea’s affirmation of the full divinity of Father and Son did not diffuse the Arian dispute. Instead, the Arian stance evolved and gained strength as it came to challenge the notion of the divine nature of the Holy Spirit by the mid-fourth century. Those who believed that the Holy Spirit was a creature, thus lesser in divinity than the Father and the Son, were called Pneumatomachians, or “Spirit fighters.” St. Basil of Caesarea and his fellow Cappadocian Fathers Sts. Gregory of Nyssa and Gregory of Nazianzus were significant in their opposition to the Pneumatomachians. Against these deniers of the Holy Spirit’s divinity, St. Basil authored De Spiritu Sancto– On the Holy Spirit- in 375. In this paper I will consider the importance of De Spiritu Sancto in the development of the doctrine on the nature of the Holy Spirit as equal in divinity to the Father and to the Son. In order to illustrate the political and religious circumstances that led to St. Basil’s focus on the divinity of the Holy Spirit, I will first contextualize the writing of De Spiritu Sancto as a reply to Arianism and its offshoots that erroneously held the Son and then the Holy Spirit to be inferior in Godhead to the Father. More importantly, I will then highlight three aspects of De Spiritu Sancto that show St. Basil’s part in the development of the theology of the full divinity of the Holy Spirit: Basil’s employment of Scripture and opposition to Arian and neo-Arian misuse of Biblical terminology about the Holy Spirit, his reflection on the Spirit’s role in the Sacrament of Baptism, and his discussion of the relationship between the three persons of the Trinity. St. Basil’s contribution to pneumatology is best comprehended within the historical milieu of the Arian controversy that pervaded much of the fourth century Roman Empire religiously and politically. 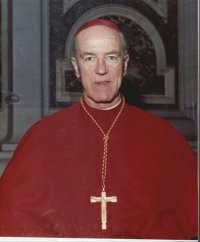 Both Everett Ferguson and Yves Congar divide the late third century and fourth century into three periods based on the development of Christian Trinitarian dogma and the rebuttal against Arianism: the first phase was between the reign of Diocletian that began in 284 and the Council of Nicaea in 325. The second was from the Nicene Council to the inauguration of the rule of Julian the Apostate in 361, and the third was between 361 and the assembly of the Council of Constantinople by Theodosius I in 381. St. Basil’s posthumous victory at Constantinople over neo-Arian Trinitarian teaching and pneumatology in particular- Basil died in 379- was hard-won. From the late third century to the Council of Nicaea in 325, fifty years before De Spiritu Sancto, the teaching of Arius spread from Alexandria and gradually became more influential. Meanwhile, the process of power transfer between Roman emperors had fallen into disarray. In response to the breakdown in the system of succession of Roman emperors “from father to son,” Diocletian had relocated the imperial seat from Rome in 284, and had split the empire into four prefectures “governed by two Augusti,” Diocletian and Maximian, who were “assisted [mainly in civil matters] by two Caesars,” Constantius Chlorus and Galerius. Constantine’s rise to power did not immediately end anti-Christian persecution in the Roman Empire, but it ushered in a period of increasing tolerance of Christianity. From 311, when Galerius died, power was shared between Constantine in the West and his ally Licinius in the East. Licinius and Constantine agreed at Milan in 313 to a policy of acceptance of the Christian faith. Licinius proved unfaithful to the so-called “Edict of Milan” and renewed persecution in the East, but he was deposed by Constantine, who became “sole ruler of the whole Roman world” in 324. By then, Constantine had unofficially converted to Christianity- he was not to be baptized until he was near death in 337– and he “presented himself as” the divine appointee of Jesus Christ and no longer of the pagan sun-god to rule over the Roman Empire. Nicaea, a gathering of about two hundred fifty bishops, is rightly called the first ecumenical council because it was the first to bring together church leaders from both East and West, although only five Western bishops participated. While the geographical representation at Nicaea was unprecedented, that council did not fully achieve universal peace in doctrinal matters. Everett Ferguson proposes five groups of bishops who attended the Council of Nicaea, according to their responses to Arianism. The first group, which included Eusebius of Nicomedia, favoured Arianism openly. The second group, the “moderate subordinationalists,” who “did not see [Arius’] teachings as dangerous,” included Eusebius of Caesarea. A third class of bishops, who most valued unity in the church, were the least theologically educated group and were prepared to compromise on dogmatic points for the sake of harmony. The fourth category saw Arianism as a political and ecclesial threat to be repudiated. The fifth group was Monarchian, made up of leaders like Eustathius of Antioch and Marcellus of Ancyra whose focus on the oneness of God did not allow for distinction between the persons of the Trinity. The Monarchists were also called Modalists or Sabellians, after Sabellius, third-century proponent of this teaching. Three major difficulties arose from the Nicene description of the link between the Father and of the Son as a homoousios. Firstly, homoousios emphasized the substantial unity of God, but was viewed as too Sabellian; homoousios, according to opponents of its usage, inadequately accounted for the particularity of each person of the Trinity. A “semantic problem” related to the Nicene expression of Father and Son as homoousios was the council’s equivocation between ousia and hypostasis. Secondly, homoousios was a non-Scriptural Greek word that had been employed by pre-Nicene Gnostics to deny the Godhead of Christ. Thirdly, in its discussion of how the Father and Son were related, the Council of Nicaea did not assess the Godhead of the Holy Spirit or the Spirit’s relationship with the Father and with the Son. These three items dominated the theological discussion between the Council of Nicaea and the end of the reign of Julian the Apostate in 363. A lengthy succession of mid-fourth century councils failed to attain consensus on Trinitarian doctrine. At Sardica in 343, the homoousios position of Nicaea and of its champion Athanasius, the Bishop of Alexandria, was upheld by the Western bishops but condemned by the Eastern bishops. The Western bishops reversed their support of Athanasius at Arles a decade later. The third council of Sirmium in 357, derided by Nicenes as the “Blasphemy of Sirmium,” rejected both the homoousios and related homoiousios stances, even securing the signature of the pro-Nicene Hosius. Two years later, though, another council at Sirmium ratified a creed that asserted that the Son and the Father were “alike ‘in all respects.’” Thus a rapprochement began between the “disparate” homoousian and homoiousian “elements favourable to Nicaea.” That process was accelerated unwittingly by Julian the Apostate, who, in an effort to exploit Christian theological divisions and to “revivify paganism,” overturned the banishment of pro-Nicene bishops by his predecessor as Roman emperor, Constantius II, a homoean who endorsed the view that the Father and Son were of similar essence but unequal in Godhead. The institutions of the Gospel have now everywhere been thrown into confusion by want of discipline; there is an indescribable pushing for the chief places while every self-advertiser tries to force himself into high office. The result of this lust for ordering is that our people are in a state of wild confusion for lack of being ordered. St. Basil himself was accused of inciting confusion among the people on the question on the nature of the Holy Spirit. The attack on Basil’s use in public prayer of two forms of Trinitarian doxology, one “to God the Father… with the Son together with the Holy Ghost” and the other “through the Son in the Holy Ghost,” led to Basil’s composition of De Spiritu Sancto. The reply of Basil in De Spiritu Sancto to the turmoil caused by the multiplicity of perspectives on the Holy Spirit’s divinity was threefold. Firstly, Basil underscored that the full divinity of the Holy Spirit is a truth found in Scripture, to which liturgical language based on Scripture also was held by Basil to attest. Consequently, Basil began De Spiritu Sancto by criticizing his opponents’ misuse of liturgy and therefore their poor comprehension of Scripture that supported an undervaluation of the Holy Spirit’s divinity. Secondly, Basil highlighted the role of each person of the Trinity in the Sacrament of Baptism. The Father, Son, and Holy Spirit, Basil argued, must all be fully divine if each Christian is baptised into the communion of all three members of the Trinity. Thirdly, St. Basil explored the relationship between the persons of the Trinity. According to Basil, the attribution of characteristics or titles to the Holy Spirit, as to the Father and the Son, does not negate the oneness of God. Pelikan and Stephen Hildebrand agree that, while St. Basil’s Scriptural exegesis differed from “modern practice,” it was not mere proof-texting, wherein Scriptural reference becomes “an afterthought to support [one’s] conclusions.” Jaroslav Pelikan cites from De Spiritu Sancto three manners in which Basil employed Scripture to support his claim that the Holy Spirit is fully divine. Basil focused on Scripture passages that considered the “titles [ονόματα],” especially that of Lord, conferred upon the Spirit as in 2 Corinthians 3:17, as well as those that treated the Spirit’s “activities [ενεργειαι]” and “gifts [ενεργεσιαι].” Hildebrand mentions two ways in which St. Basil interpreted Scripture, both of which were common in his time. The first was to establish the grammaticus of the text; a Scriptural passage could be interpreted differently, depending upon the punctuation and division of words. For instance, John 1:3-4 could be read thus: “All things were made through [the Word] and without [the Word] nothing was made. That (which) was made in [the Word] was life, and the life was the light of [the world].” Such a reading would potentially have had an “Arian connotation”:  Life could have been understood to have come “to be in the Word”, thus implying that the Word was created. To refute an Arian Christology, the same passage could have been rendered: “All things were made through [the Word] and without [the Word] nothing was made that was made. In [the Word] was life, and the life was the light of [the world. ]” The second focus of Scriptural study among patristic exegetes like Basil was the methodikon, or linguistic analysis, whereby foreign words and linguistic style- poetic metre, figures of speech, and etymologies, for example- were explained. Although St. Basil’s purpose was not in-depth critical exegesis of Scripture, his strongest argument for the co-divinity of the Father, Son, and Holy Spirit was Biblical as well as Sacramental. Basil’s case leaned on the baptismal formula in Matthew 28:19-20: “Go, therefore, and make disciples of all nations, baptizing them in the name of the Father, Son, and Holy Spirit.” These verses, Basil contended, were evidence from Scripture of the equal glory of each person of the Trinity. Passages like Galatians 3:27 that indicate baptism into Christ without mention of the Spirit, or like Acts 1:5 that refers only to the Spirit, nevertheless imply the presence of all three persons of the Trinity; according to Basil “the separation of the Spirit from the Father and the Son is perilous to the baptizer and of no advantage to the baptized.” St. Basil concluded that, through baptism, each Christian is “[introduced] to the knowledge of God,” who is the essential unity of Father, Son, and Holy Spirit. Basil’s expansion in De Spiritu Santo of Nicene Christology, wherein the Father and the Son were held to be equally divine, into a consideration of God as Trinity and the place of the Holy Spirit within the one Godhead laid the foundation for the Council of Constantinople that took place two years after Basil’s death. The teaching of St. Basil was grounded in Scripture and Apostolic, liturgical, and Sacramental tradition. Basil was therefore a central contributor to the acceptance of the co-divinity of the Holy Spirit in a century that began with widespread confusion over the nature of the Son in relationship to the Father. Within eighty-one years, Constantinople had accepted Basil’s view of the Godhead as the ontological communion of three persons with distinct attributes. Laurie Guy, Introducing Early Christianity: A Topical Survey of Its Life, Beliefs, and Practices (Downers Grove, IL: InterVarsity Press, 2004), 268. Everett Ferguson, From Christ to Pre-Reformation: The Rise and Growth of the Church in Its Cultural, Intellectual, and Political Context, Church History 1 (Grand Rapids: Zondervan, 2005), 194. Guy, Introducing Early Christianity, 281. Paul J. Fedwick, “A Chronology of the Life and Works of Basil of Caesarea,” in Basil of Caesarea: Christian, Humanist, Ascetic (Toronto: Pontifical Institute of Medieval Studies, 1981), 17. Ferguson, From Christ to Pre-Reformation, 199-208. Yves Congar, The River of the Water of Life Flows in the East and in the West, I Believe in the Holy Spirit 1, tr. David Smith (New York: Seabury Press, 1983), 19-28. Milton V. Anastos, “Basil`s Κατα Ευνομιου: A Critical Analysis,” in Basil of Caesarea: Christian, Humanist, Ascetic (Toronto: Pontifical Institute of Medieval Studies, 1981), 70. Ferguson, From Christ to Pre-Reformation, 202. James Hanrahan, St. Basil the Great: A Life with Excerpts from His Works (Toronto: The Basilian Press, 1979), 150-151. Basil, “De Spiritu Sancto,” 18.44-47. http://www.newadvent.org/fathers/3203.htm. Accessed 25 November, 2009. John Behr, “The Trinitarian Theology of St. Basil of Caesarea.” http://www.allsaintsstl.org/Trinitarian%20 Theology %20of%20St.%20Basil%20of%20Caesarea%20-%20Web%20Version%202008.pdf. Accessed 25 November, 2009. Ferguson, From Christ to Pre-Reformation, 209-210. Hanrahan, St. Basil the Great: A Life with Excerpts from His Works, 214. Ferguson, From Christ to Pre-Reformation, 178. Guy, Introducing Early Christianity, 270. Ferguson, From Christ to Pre-Reformation, 193. Guy, Introducing Early Christianity, 273. Ferguson, From Christ to Pre-Reformation, 207. Basil, De Spiritu Sancto, 30.77. http://www.newadvent.org/fathers/3203.htm. Accessed 25 November, 2009. Hanrahan, St. Basil the Great, 150-151. Jaroslav Pelikan, “The ‘Spiritual Sense’ of Scripture: The Exegetical Basis for St. Basil’s Doctrine of the Holy Spirit,” in Basil of Caesarea: Christian, Humanist, Ascetic (Toronto: Pontifical Institute of Medieval Studies, 1981), 338. Basil, De Spiritu Sancto, 12.28. http://www.newadvent.org/fathers/3203.htm. Accessed 25 November, 2009. Basil, De Spiritu Sancto, 7.16. Cited in Pelikan, “The ‘Spiritual Sense’ of Scripture,” note 17, 340. Pelikan, “The ‘Spiritual Sense’ of Scripture,” 340. Basil, De Spiritu Sancto, 8.17. http://www.newadvent.org/fathers/3203.htm. Accessed 25 November, 2009. Pelikan, “The ‘Spiritual Sense’ of Scripture,” 342. Basil, De Spiritu Sancto, 16.37. http://www.newadvent.org/fathers/3203.htm. Accessed 25 November, 2009. Stephen M. Hildebrand, The Trinitarian Theology of Basil of Caesarea: A Synthesis of Greek Thought and Biblical Truth (Washington, D.C.: The Catholic University of America Press, 2007), 103. Richard M. Gula, Reason Informed by Faith: Foundations of Catholic Morality (Mahwah, NJ: Paulist Press, 1989), 166. Pelikan, “The ‘Spiritual Sense’ of Scripture,” 343. Basil, De Spiritu Sancto, 21.52. http://www.newadvent.org/fathers/3203.htm. Accessed 25 November, 2009. Basil, De Spiritu Sancto, 23.54. http://www.newadvent.org/fathers/3203.htm. Accessed 25 November, 2009. Hildebrand, The Trinitarian Theology of Basil of Caesarea, 103-105. Basil, De Spiritu Sancto, 29.75. http://www.newadvent.org/fathers/3203.htm. Accessed 25 November, 2009. Dennis Ngien, Gifted Response: The Triune God as the Causative Agent of our Responsive Worship (Milton Keynes, UK/Colorado Springs/ Hyderabad: Paternoster, 2008), 1-34. Hildebrand, The Trinitarian Theology of Basil of Caesarea, 114-115. Basil, De Spiritu Sancto, 18.45. http://www.newadvent.org/fathers/3203.htm. Accessed 25 November, 2009.